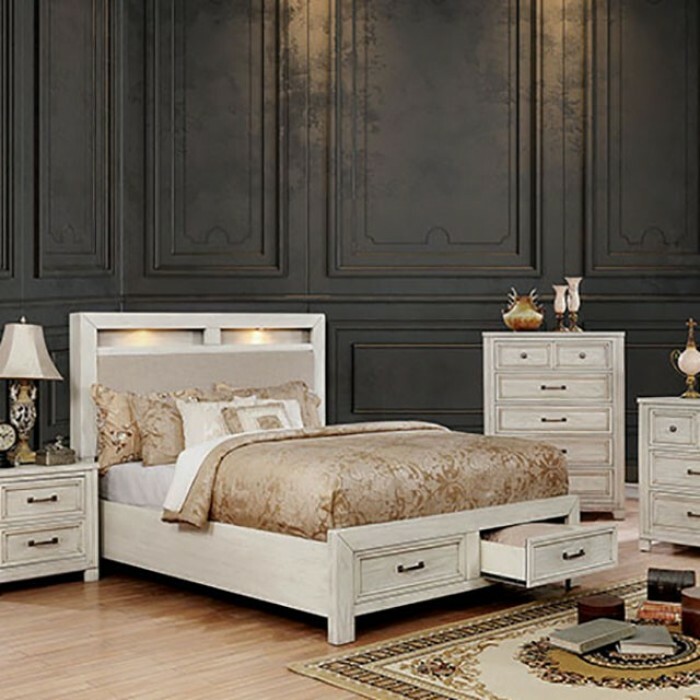 This bedroom set is an amalgamation of designs and styles that fit together seamlessly, making it a highly versatile ensemble that will fit into almost any bedroom aesthetic. The weathered finish shows just enough wear without hampering the lovely wood grain on the drawer faces, which add a hit of natural shape. A soft padded headboard panel would normally be the highlight of the room but two slim shelves offer you a chance to show off a little decorative touch, and proudly display them with built in LED lights.